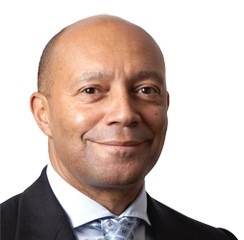 Damon Buffini is a founding partner of Permira and was Chairman and Managing Partner from 1997-2010. Under his leadership Permira's funds under management grew from €1.9 billion to over €20 billion and the firm's number of offices has risen from four to 12. Over the same period Permira helped to grow and build numerous successful businesses across Europe including: Travelodge, global aviation services group Jet Aviation, Inmarsat, and Homebase. Over the past ten years Permira has returned more than €10 billion of realised profit to its investors. Today, Permira's portfolio is comprised of 23 companies including New Look, Birds Eye iglo, Hugo Boss and NDS (www.permira.com). Damon currently represents Permira Funds on the board of NDS and Hugo Boss. Damon is a co-founder of Breakthrough and Social Business Trust, an initiative to grow social enterprises by utilising the knowledge, skills and capital of UK businesses thereby benefitting 1 million people in the UK. Currently the patrons of SBT are; Bain & Co, Clifford Chance, Credit Suisse, Ernst & Young, Permira and Thomson Reuters. Damon is also a trustee of the Royal Anniversary Trust and a member of Cambridge University Endowment Fund Advisory Board. Damon was educated at the Gateway Grammar School, St John's College, Cambridge, where he read Law and at Harvard Business School, where gained an MBA.